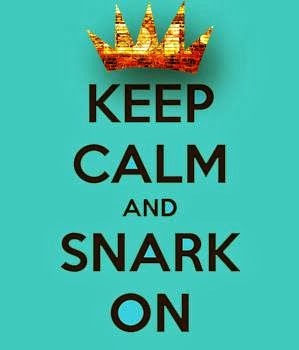 Hooray for Tuesday! That means it's time for another challenge over at SHOPPING OUR STASH. This week's challenge is "Winter Blues." For this challenge use blue as the primary colour on your card. We want to see LOTS of blue...and be sure to visit the SOS blog for all the details on the challenge and to show my teammies some crafty love. I don't know about you, but I am sure ready for winter to be about over! Usually I love winter, the cold, the snow...but this year...I am just not feelin' it! I have even started a countdown to vacation in the Bahamas...46 sleeps!! 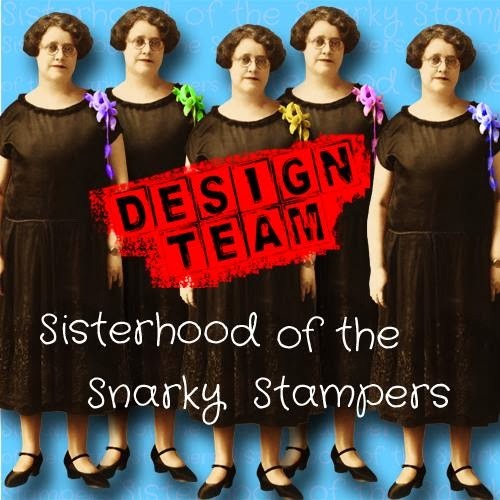 As part of the SOS design team, I am making an effort to use my stash items, including stamp sets that have never seen ink...like this one..."Gorgeous Grunge" (SU). It's one of those sets I used in a class then HAD to have...and then never used...until now! For my blue I wanted to do a monochromatic card, so I stuck with Midnight Muse (SU) for the cardstock and ink. I even inked up some white twine to match. Not sure how well it comes out in the picture but the white layer and the butterflies were also sprayed with glitter. After I punched the butterflies I wet them, scrunched them, dried them, sprayed them with glitter then dried them again to get them all crinkly. The clear glittery button is from a card kit from December 2012. In case you have any doubts that I made this card, I submit exhibit A, my midnight muse inky hands (and that's after two hand washes). 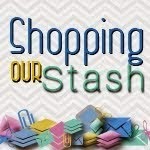 Hope you'll play along with us at SHOPPING OUR STASH for the "Winter Blues" challenge this week! Fabulous card, love love love it, great blues and the hands prove it. You bleed blue for your craft!!!! HA! I love the crinkled flutterbys, and the wonky angle of the top panel. Ya know, if I adopt that as my MO, I won't be as "crooked" all the time. Holy Crow! Donna, this card is all kinds of awesome!(possum!) The grungy graphics paired with the butterflies is perfection! And OMG! Look at your hands! The first thing that popped into my head was "Violet! You're turning violet, Violet!" from Willy Wonka and the chocolate factory! LOL! I love your card! I too had to have the grunge set after using it at a workshop and yep, no ink on it yet. I love what you've done with it here. Maybe I'll break my set out soon!! Your hands show exactly why I don't dye twine!! LOL! As for your hands...it never fails that I have multi-coloured hands any time I have to meet someone & shake their hand. Every. Damn. Time. lol! Very artsy! Nice technique, beautifully executed! 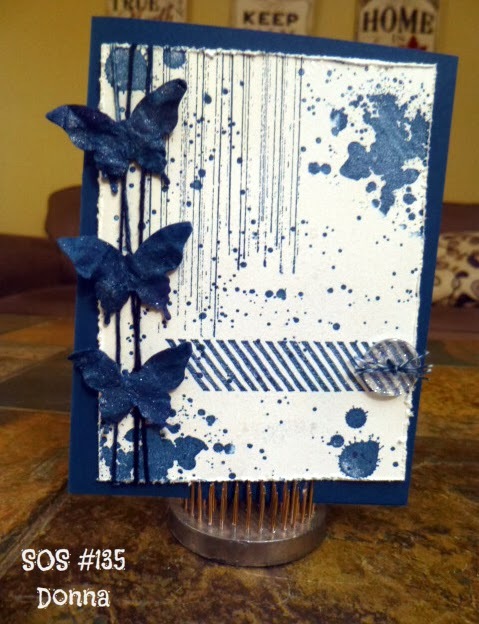 The grunge looks great on your card.........and on your hands :) Very pretty, especially those butterflies!